Sun and Scala, is there anything better? We don't think so and at Signify Technology we are thrilled to be Silver Sponsors of the Scala Italy Conference which takes place on 14th and 15th September 2018 in Florence, Italy. This will mark the fourth edition of Scala Italy where you can learn about all things Scala and the technologies related to it. 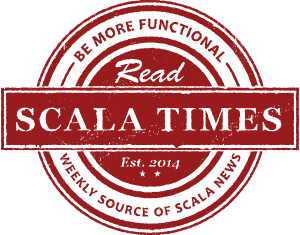 Scala Italy is a non-for-profit event organised by the community, it has been touring around Italy with the sole purpose of spreading and sharing the passion for Scala and helping to continue to grow the community. The conference will last two days with optional workshops throughout the talks, this will give you a great chance to develop your current skills and knowledge also with an amazing array of speakers from Viktor Klang from Lightbend to Miles Sabin at Underscore it is set to be a great conference and one you will not want to miss out on. Located in the beauitful city of Florence you not only get the chance to hear all about Scala but you can take the time to explore all the city has to offer. With stunning sights of the Florence Cathedral, Palazzo Vecchio and various amazing restaurants and bars you can fill your spare with great culture and food! You have the chance to WIN a ticket to Scala Italy courtesy of Signify Technology and all you need to do is sign up to our platform here. The conference takes place between 14th and 15th September 2018 so you must be available to travel within one or two days either side of this date. Good luck! We also have the chance for 5 people to receive 50% discount off of their ticket booking. To be one of the lucky 5 email us on info@signifytechnology.com and quote 50% off Scala Italy. The competition closes at 3pm on the 24th August 2018. After this date and time, no further entries to the competition will be permitted. This competition is open to anyone aged 18 years or over, except employees of Signify Technology and their close relatives and anyone otherwise connected with the judging of the competition. The prize is as stated and no cash alternative will be offered. The winner will be chosen at random and will be notified on the 24th August 2018.